This FA Cup fourth round produced a shocking number of upsets. What have we learned from the most recent round in the 2015 FA Cup? At this point I think it’s hard to say. Many pundits will talk about the “magic” being lost for the big teams. They will moan and complain about how today’s teams don’t cherish the tournament enough. At the same time there will be those with the counter-argument that the magic is well and truly there for the minnows. Where to even start? Having two Premier League giants dumped out by lower league is good for the competition in terms of keeping the so called “magic” going. It is always interesting and exciting to see the big teams lose to “lesser” opposition. After all, that is why we watch isn’t it? If these matches already had an outcome then there wouldn’t be a reason to play them. That is what makes watching sports so much fun. The part of the FA Cup that I most appreciate is this very thing. The upsets and interesting results coming from teams that are separated by a gulf much more than just position in their respective leagues tables. Money is certainly a factor in this, but clearly that doesn’t guarantee a winner. A team like Manchester United can at least put some blame for their result in the conditions of the pitch, but there are bigger questions to be asked of teams like Chelsea and Manchester City, or even Liverpool. Even teams like West Ham United and Arsenal had to rely on a bit of luck to scrape themselves through. Questions should be asked of the likes of Chelsea and Manchester City. Both seemed to think that they could coast through. After all, Manchester City even went so far as to take a mid-season break and return just a day before their 2-0 home loss to Middlesbrough. There are no excuses for Chelsea. They were at home to a League One side. They had a 2-0 lead and even went into the half up 2-1. To then give it away and lose 4-2 is pretty appalling. I would say that all of this points to a combination of complacency mixed with a lack of desire. Clearly their opponents wanted it more. Or perhaps, they just couldn’t be bothered to carry on with yet another tournament to participate in. For a team like Chelsea it would have meant continuing on in their fourth tournament. Manchester City are still carrying hopes of progressing in the Champions League and surely see that as their focus. This same track can be used for Liverpool and Tottenham, both of which are still in the Capital One League Cup semi-finals as well as the Europa League. While the FA Cup is an exciting tournament, it is not a massive money maker for these big clubs. A team being promoted to the Premier League makes more money than the FA Cup winner. However, the little clubs, the ones playing down in League One and lower, this is still a big deal. A big cup tie can even mean the difference in being able to continue on as a club. 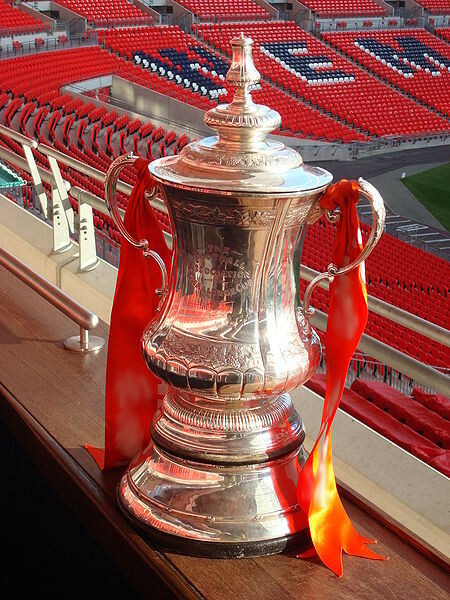 For me personally, I still love the FA Cup. It’s certainly a step above the League Cup, but, but to honest, it isn’t nearly as big as the Champions League or even the Premier League. I can understand why teams and fans look down on the tournament. For some teams it can become a matter of choice; choosing whether to continue on in the competition or maintain their focus on the Premier League. Wigan Athletic have now become a cautionary tale. They may have won the 2013 FA Cup, but it came at a price. The cost being their place in the Premier League. Their relegation to the Championship has seen them slip even further and they are now currently sitting in 23rd, second from bottom. No team wants to sacrifice a place in the Premier League for a simple trophy. I do appreciate the FA Cup, but I understand it’s place in terms of tournaments. It is second rate for the big clubs. In fact, it’s second rate for any club that has aspirations in the Premier League. There will still be EPL teams that will push to win it, but more often than not, they will be the ones that can afford to do so. ← Fantasy Premier League Friday: Buy or Sell Wilfried Bony in FPL?